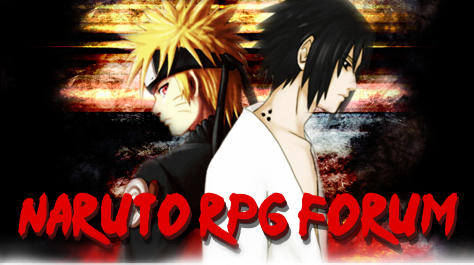 The staff would like to welcome you to the Naruto RPG Forum. Please go to the rules to start off or feel free to have a look around that site to get an idea of what we do here. If you have questions feel free to ask them under this topic. (Step 0.) Under this section we have all the rules and guides to help you get started, if your not new to role playing then feel free to skip the guided tour but please do look over the rules quick to make sure that you know this sites. If you have a comment or a question about the site, rules, or something else, feel free to ask here. Please don't spam here as all Mods and Admins will be looking here whenever there is a post to see if we can help, or welcome you. (Step 1.) This is where you go to make your character so you can enjoy the world of Naruto RPG. Before you just start typing please read the rules first, if you have already done that then go to the Character Template and follow the setup that it shows. Our goal is to have high end role playing so please take your time on your character. (Step 2.) If you know Naruto then you right away know what this section is, but if you are new to this then simply Jutsu is the magical powers that your character will use, in the world of Naruto people have Chakra and use this inner energy to control elements. For more info and to learn how to make your characters Jutsu please follow the Jutsu Template. (Step 3.) 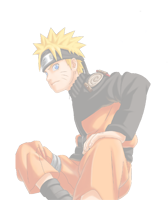 In the world of Naruto there are many kingdoms, organizations, and family blood lines. This is where you have the option of making one of these although this is not a required and is merely extra. Although it can get your character abilities as some blood lines grant some cool perks. Warning, Mods and Admins are going to be tough on clans. (Step 4.) If your character has any piece of equipment or clothing that is not just normal then you need to post it here. Follow the Equipment Template and wait for our Mods or Admin to approve it before using this item (As you should do with everything else. ), as depending on what it can do we may have you change something to prevent overpowering weapons / armor. (Step 5.) We don't want everyone to have a seal / curse / or demon inside them, even if it is fun. Simply there is not that many demons out there so we will be limiting those heavily, as far as seals and curses we will let more come through although be warned we will be very tough. (Step 6.) Wait for us to approve everything then you can start role playing! Located near the center of town this building is where the current Kage resides. This is also where missions will be appointed and also where you come to set up teams or be assigned teams. Also in the basement there are all the forbidden scrolls. Located on the outskirts of the village and even outside the village walls, this is where teams come to meet and practice, people who want to train for exams, or simply if you want to just spar some people for fun. Being the inner village this is where the markets are along with any inns, hot springs, or happening places. Usually the place to be when a guest of Hidden Leaf Village. The outer city is where the locals live with a few restaurants here and there. Also this is where the Village entrance is along with the walls that protect the Village, so if there was ever an attack it would happen here. The forest that is outside of the walls of the Leaf Village has some scary parts to it. Most of it is just your standard forest although it does have a road that leads to the Sand Village. Being the inner village this is where the markets are along with any inns, hot springs, or happening places. Usually the place to be when a guest of Hidden Sand Village. The great sea of sand that surrounds the Sand village seems to have no end but if you follow some simple directions you can find your way to the Leaf Village. Giant sand worms have been spotted but have no fear as the lack of water and heat means it was all just an illusion... You hope. The forests are filled with mystery, legends, and death but have no fear as the trees get so big in parts light doesn't reach the ground. Not to mention the simple fact that there are some really big bugs in the forest, just follow the path and try not to get caught up in the folklore of the wolf princess that has that purple hair. A place for those who want to rest, have fun, or talk business. With hot springs, many hotels, the best sushi restaurants in all of the world, and one to many gambling stores the town is perfect. Be warned though the town has large walls and many guards.